On the other side of the Atlantic, bands don’t seem to try to fit into trends. Swedish group Fatale Smile may have some modern elements but, for the most part, it is just good old fashion melodic metal. Bands and labels in the states would not attempt putting out something like this out but they are only hurting themselves. People like me want our metal without the “cookie monster” vocals and extreme noise. Neo Natural Freaks contains some crunching metal but it is on top of melody. That is the key element that Fatale Smile (and a lot of Euro-metal) use to great effect. Don’t let the word “melody” scare you because this is an all out metal album. This is not melodic rock; it’s metal with melody. 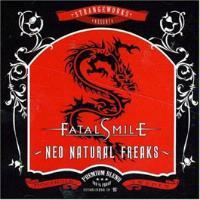 I’ve listened to Neo Natural Freaks about 10 times and a lot of the tunes will stick in your head. Now that summer is almost upon us, this is the perfect driving CD. Sound effects start off the track that quickly turns into a straight ahead metal rocker. It has a melodic 80’s metal sound to it; especially during the chorus. And speaking of choruses, this one (along with most of others on the CD) is extremely catchy and will have you singing along after just one listen. This song has more of a modern metal sound but the band blend in that 80’s metal melody that gives it such a great groove. This one is not as heavy as the first tune but it definitely rocks. We have another winner with this cut. It keeps the main elements but it adds some Pink Cream 69 (Electrified era) to the mix. The chorus is not as catchy but it makes up for that with a really good groove. If Dokken were to make heavy metal instead of pop metal, then this is what the music might sound like. The chorus is heavier and has a more modern metal sound to it but the vocals make it more melodic. Church bells ring in this Black Sabbath doom track. The vocals have a little Layne Staley in them. Of all the tunes on this CD, this one is the heaviest. Don’t let the mellow intro fool you. 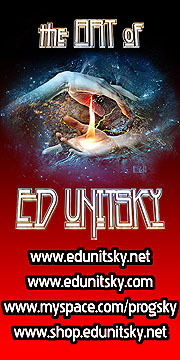 This is a really catchy rocker that will remind you of some of the 80’s metal bands. The chorus is more modern metal but the rest is real steel (the kind that was on Headbanger’s Ball in the 80’s). I don’t know why, but this song does nothing for me. There is nothing really wrong with it but then again there is nothing really right with it either. It is one of those tunes that falls in the middle and gets lost because of it. I wouldn’t skip over it when listening to the whole disc (and by all means listen to the whole thing) but I wouldn't go searching out this song either. The first 10 seconds are like Bon Scott era AC/DC. It’s a simple rock tune with a good message. This rocker is the fastest track on the record. There are different parts to it that keep it interesting. If you are driving while listening to this cut, I guarantee you’ll be speeding before the tune is over. It’s a great driving song. A ticking clock starts off this 80’s metal rocker. The beginning has a little bit of Velvet Revolver thrown in but for the most part it holds that metal vibe. The chorus is catchy and this track along with the previous one makes a nice one-two punch to end this great record.